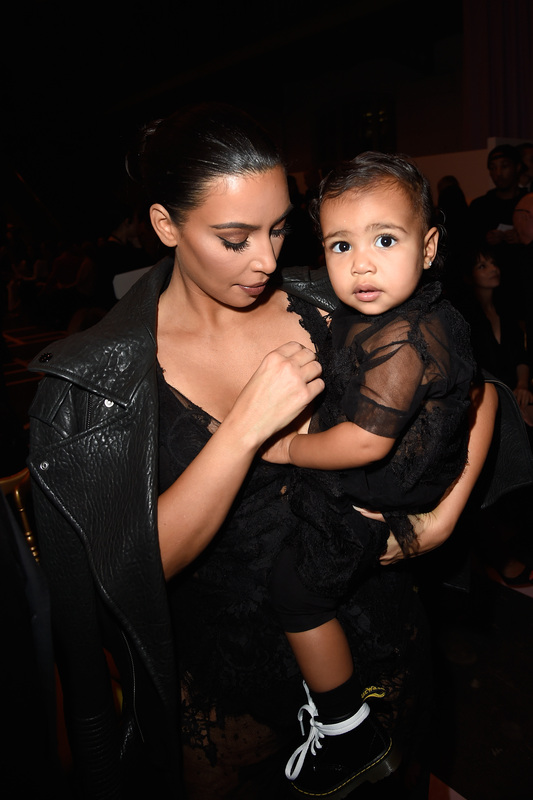 North West has finally had enough. As the daughter of two of the world's biggest egomaniacs, we all knew this day would come. We knew that one day she'd finally put her foot down and say, "Mom, Dad, I don't want you to carry a Birkin with my naked baby photos painted on it anymore," or "Please stop decorating my dorm room with wall-size portraits of your selfies." We just didn't know she'd do it so soon. Alas, North West has had it up to HERE (which, admittedly isn't that high given her size) at just over one year spent on this earth with Kimye. Her solution? Commissioning creepy voodoo dolls to be made in her parents' likenesses. Yep, North West has Kim Kardashian and Kanye West dolls, and I'm not exactly sure where, or how a baby goes about acquiring these, but this is North West we're talking about — not some rando peasant. She's stuffed into sweaty leather leggings instead of onesies on the reg (I would NOT want to be the nanny opening that diaper), and has to fly around the world constantly. She's forced to wear skimpy mesh dresses in cold weather and sit front row at loud fashion shows instead of being able to poop her pants in her crib in peace like any other normal baby. For North, turning to voodoo was clearly the only option. The dolls look like they're in distress. Doll Kanye's facial expression says, "Please don't poke me! I promise I won't make you listen to my album again!" Doll Kim (who actually looks a little constipated tbh) is probably like, "Human North, as long as you don't touch my Doll Louboutin, I swear you will never have to wear a matching outfit with me so long as you live. I mean, maybe on Christmas, but that's it."